Being a big fan of FIFA 2010 for the XBOX 360 I was a little worried about how FIFA World Cup South Africa would be on the Wii platform. After playing for a while I was pleasantly surprised. The gameplay and general atmosphere of the Wii game is quite a bit different than the XBOX 360 game, with the Wii game playing more like an arcade game rather than a realistic game. However, playing an arcade style soccer game was a lot of fun. 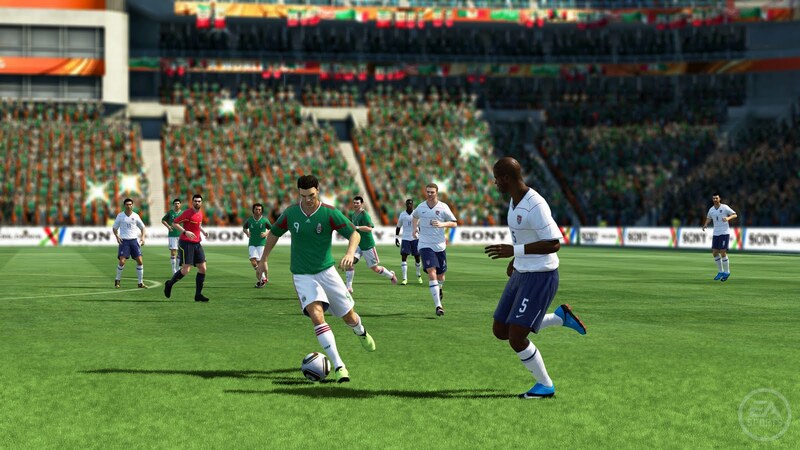 The graphics aren't the best, but you can tell the artists and designers put a great deal of effort and time to ensure that the players, kits and stadiums all work together to create a great environment. While playing as the US team I could instantly recognize several of the more popular playeys. The Donovan, Bocanegra and Howard models were all very accurate. 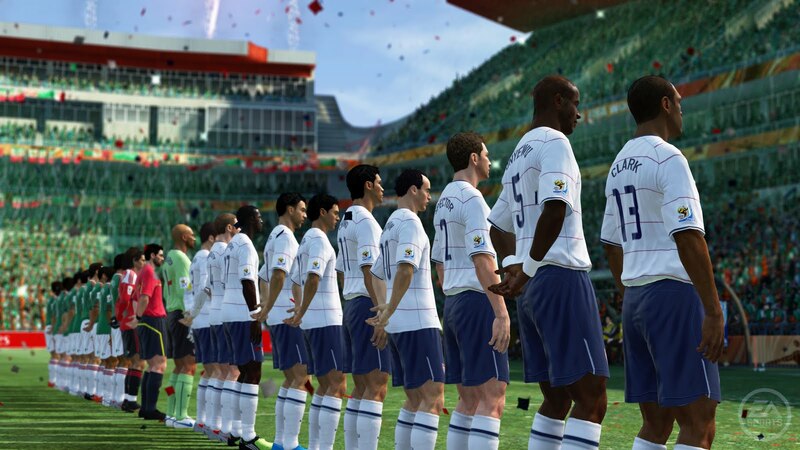 It was also cool to see all the new kits and squads which will be used in the upcoming World Cup. After a few minutes with the Wii remote and the nunchuk the controls felt very easy to use. 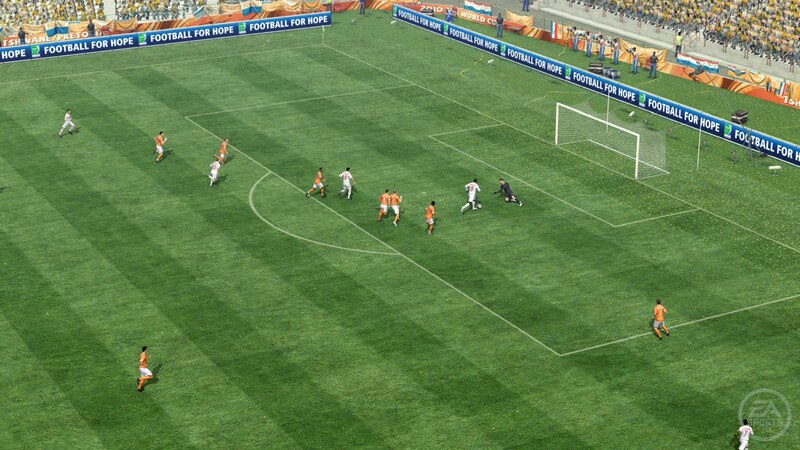 At specific points in the first match you play a dialog box pops up and guides you through using the controls for each situation, including headers, free kicks and corner kicks. Quite a few of the controls are timing based which did take a few tries to figure out. The combination of shaking the Wii remote, slow motion action and stylized ball (trail and sometimes fire!) all make shooting a fun experience. 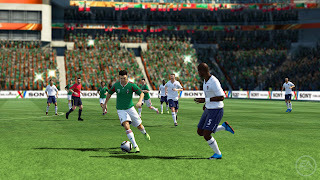 Shaking the remote is a big part of the controls, it is used for shooting, winning balls from free kicks and corner kicks and taking and saving penalties. The controls make for a very interactive experience. There are several game modes to choose from, including Hit the Pitch (exhibition), 2010 FIFA World Cup South Africa (the World Cup tournament) with single and multi-player support, Global Elimination (multiplayer) and Zakumi's Dream Team (complete challenges to build a stronger team). 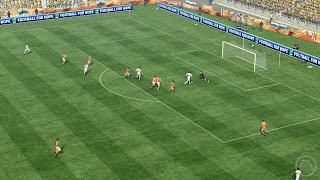 Mashbuttons.com gives FIFA (for Wii) a 7 out of 10. 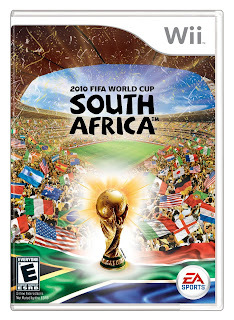 If you aren't looking for an ultra realistic soccer experience the the arcade style of 2010 FIFA World Cup South Africa is a lot of fun.